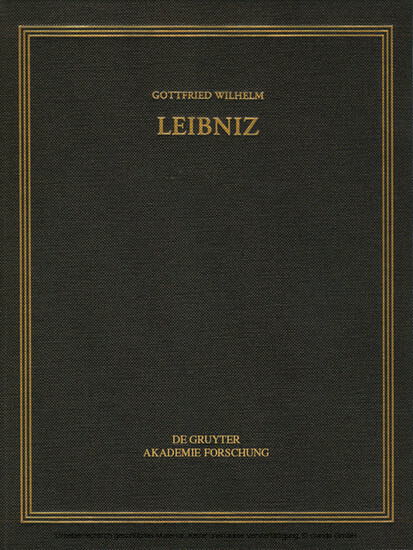 The period covered by this volume includes the death of the Prussian Queen Sophie Charlotte and the beginning of the correspondence with Caroline von Brandenburg-Ansbach.Leibniz also sounds out the possibility of entering the service of the Berlin court. Politically, the correspondence addresses progress and risks in conflicts with the ascendant powers France and Sweden, and the Hanoverian accession to the British throne. Michael Kempe, Nora Gädeke, Monika Meier und Sven Erdner, Leibniz-Archiv/Leibniz-Forschungsstelle Hannover. Wie kommt der Sinn in die Welt?